The development of literacy skills can be challenging for people who are d/Deaf. 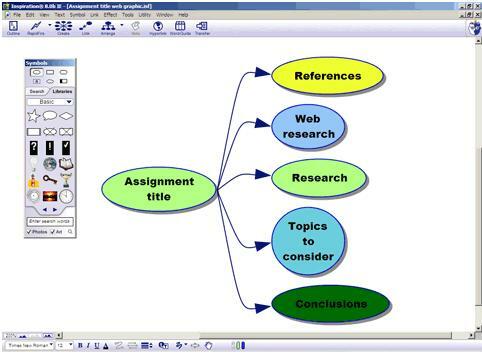 Visual computer programmes such as Inspiration Mind Mapping software can help you to take a visual approach to coursework and visually representing information. A 30-day trial can be downloaded from: http://www.inspiration.com/Inspiration and it can be purchased online for approximately £50. Inspiration software is available for Mac and Windows computers – both versions operate in the same way.